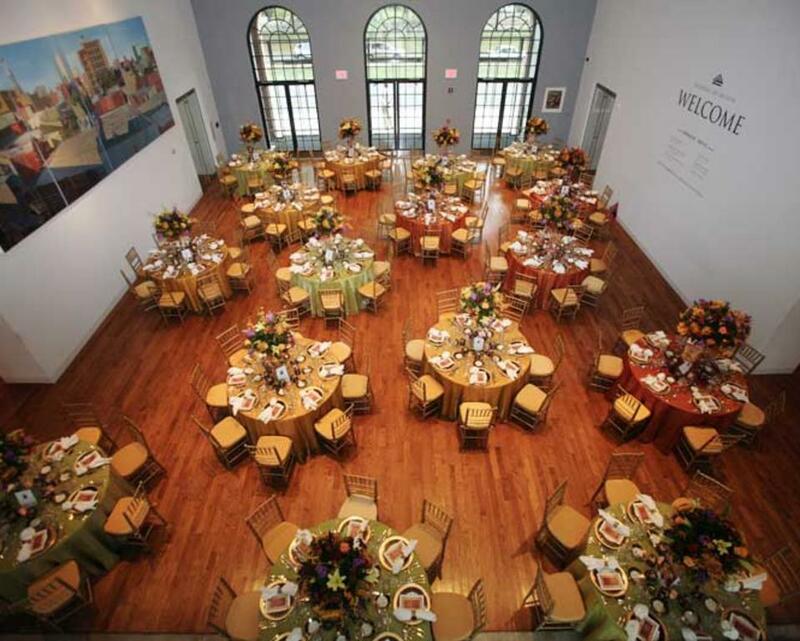 Unique, inspiring, and sophisticated, the Delaware Art Museum offers the perfect setting to impress your guests. 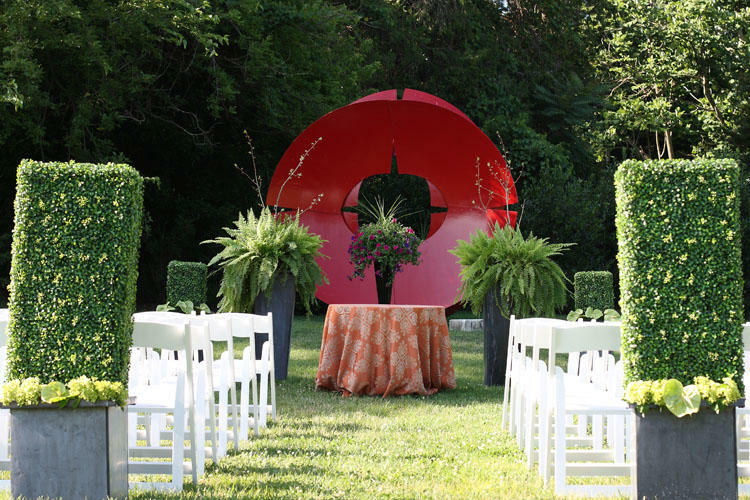 Contemporary spaces, magnificent artwork, and a tranquil sculpture garden offer a stunning backdrop for your wedding. 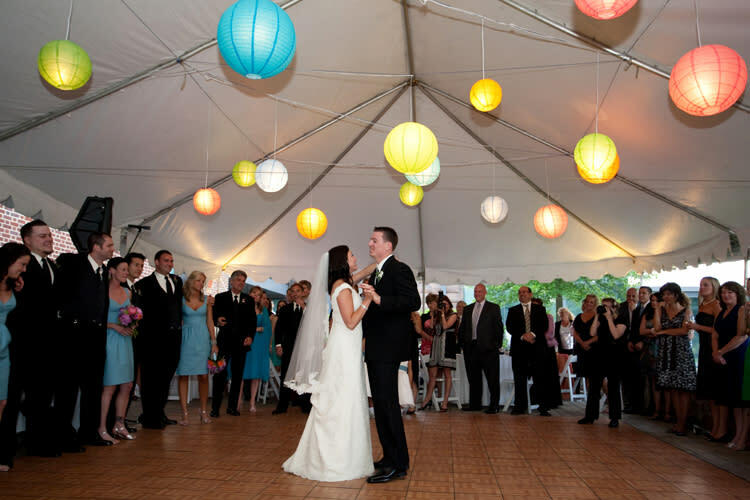 Whether planning a lively cocktail reception or an intimate seated dinner, our experienced staff is here to cater to your every need and to make your special day unforgettable. Our North Terrace, labyrinth, and six-acre Copeland Sculpture Garden welcome guests strolling to the entrance by leading them along a tree-lined path. Sculptures from the Museum’s permanent collection are located throughout the expansive outdoor space. 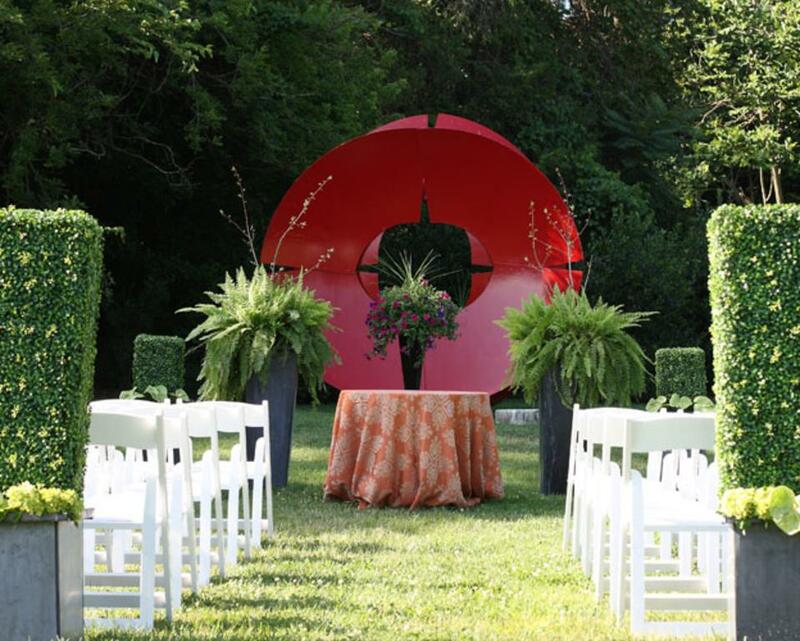 Cocktail receptions and wedding ceremonies can be held in the garden and labyrinth, offering a spectacular and unique experience. 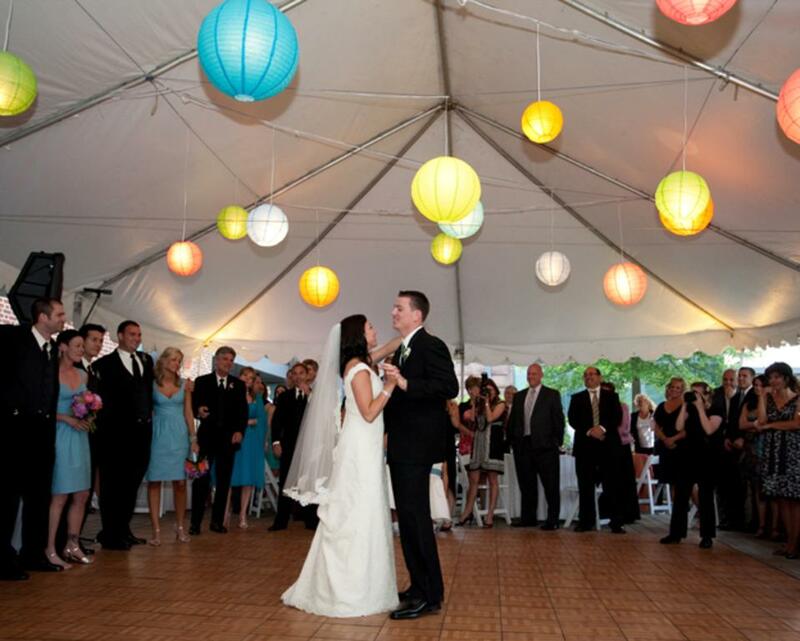 A tent can be added and up to 200 guests can be accommodated for a seated dinner. Dinner and Dancing: 200, Cocktail Reception: 300 Catherine A. Fusco Grand Hall: This sophisticated social space is ideal for seated dinners or standing cocktail receptions. 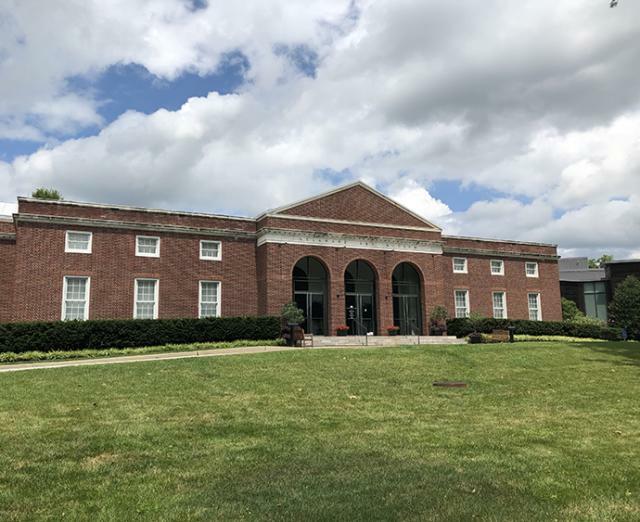 The grand entry hall to the Museum opens onto our main gallery spaces and overlooks the paved terrace and scenic Kentmere Parkway. Seated Dinner with Dancing: 130, Cocktail Reception: 250. East Court: The East Court adjoins our Pre-Raphaelite, Howard Pyle and American Illustration, and our changing exhibition gallery spaces, making it an ideal location for cocktail parties or small dinners. Seated Dinner: 100, Cocktail Reception: 175. 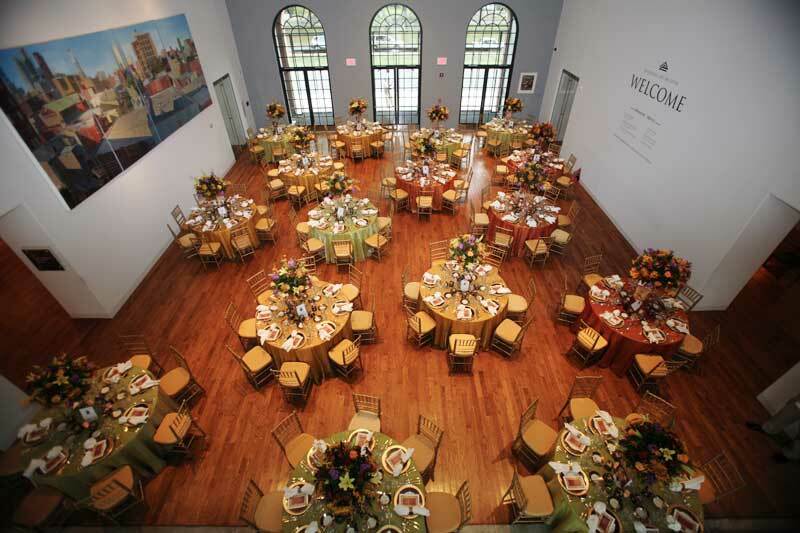 For more information on pricing and availability, please contact Lauren McMahon, at Lmcmahon@delart.org, or call 302.351.8530.